This shop has been compensated by Collective Bias, Inc. and The Coca-Cola Company. All opinions are mine alone. #FindYourSparkle #CollectiveBias Spending time outdoors with an only child can be tricky, and usually goes a little something like this: “Mom!” “Hey Mom! !” “MOMMY! MOMMY! MOMMY!! !” Which is why I LOVE mommy and me playdates, Jade plays with her friends and I’m able to have a friend to visit with too. One of the perks of having our neighborhood pool (literally) in our backyard are the summer-themed mommy and me playdates. For the record, I fully intend on spending as many days as possible laying poolside surrounded by Jade and her friends, plenty of pool toys, a hydrating beverage in hand and another adult (or two). When we built our home, I remember loving the idea of seeing the pool from our sliding door, it’s basically a water front view (ha!). My little Jade on the other hand, can’t even look outside (at the uncovered pool) without begging to go swim, she’ll even ask to go swimming as soon as we get home from being at the pool. I’m convinced Jade is half fish, which basically makes her a mermaid right? Since we’re at beginning of the season, I needed to go though my pool checklist and dust-off some of last years pool toys, swimsuits, life jackets and other essentials to use this year. Shockingly, I was able to reuse a ton of it and miss Jade even fits into most of last years swimsuits! Over the past year, I’ve been focusing on making better food choices, staying active and even being consistent when I’m hanging out with friends. I just want to continue to feel good in my own skin and never dread being in a swimsuit when taking Jade to the pool. One of the easiest ways to make better choices is drinking more water, more often. So in preparation for my first pool playdate of the season, I ran over to Walmart to grab all of the essentials for the perfect pool playdate. I also grabbed some sunscreen, four XL beach towels, goggles, Dasani Sparkling Cans (I wanted to try the NEW Dasani Sparkling Lemon) and a mesh beach bag. I already love and trust Dasani bottled water (because it tastes amazing) which had me excited to share the Dasani Sparkling cans with my friends. Initially the flavor of the Dasani Sparkling Lemon caught me a little off-guard, in my mind I was expecting something sweet, like lemonade. There isn’t any sweetener, this is truly a sparkling water. It literally tastes like you added fresh lemon to quality sparkling water, this one is just pre-made and easy to take on the go. If you’re looking for a sweet drink that is still light, this would be the perfect base and you could easily add some sweetener or fresh fruit juice to it. So I’m curious to try the other non-citrus flavors to compare and see which I’d like best. 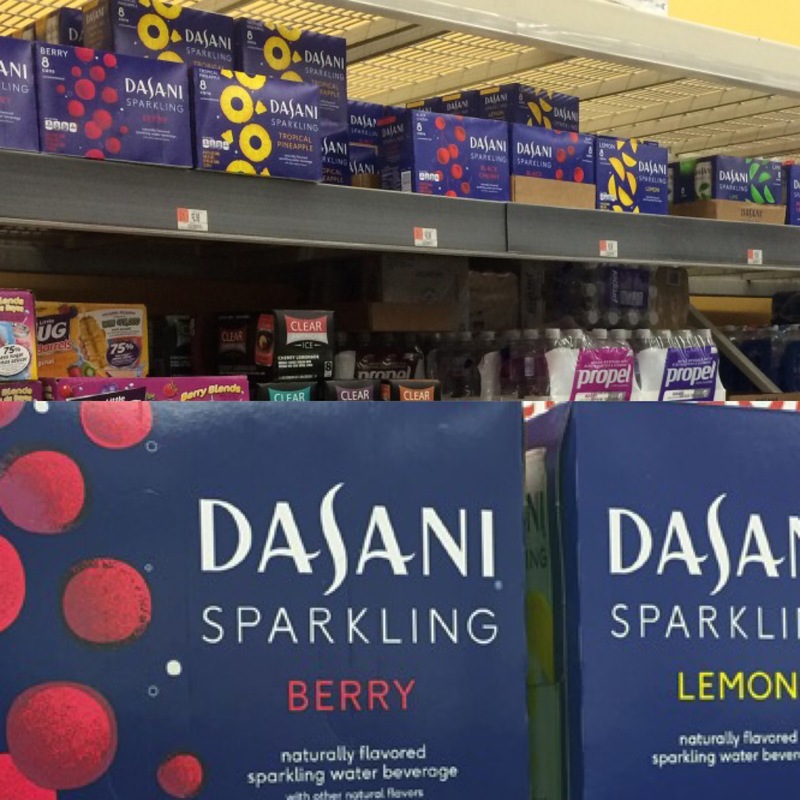 Regardless of what flavor of Dasani Sparkling water you love, Dasani Sparkling makes a healthy flavorful beverage option that can keep you hydrated pool side and all summer long. 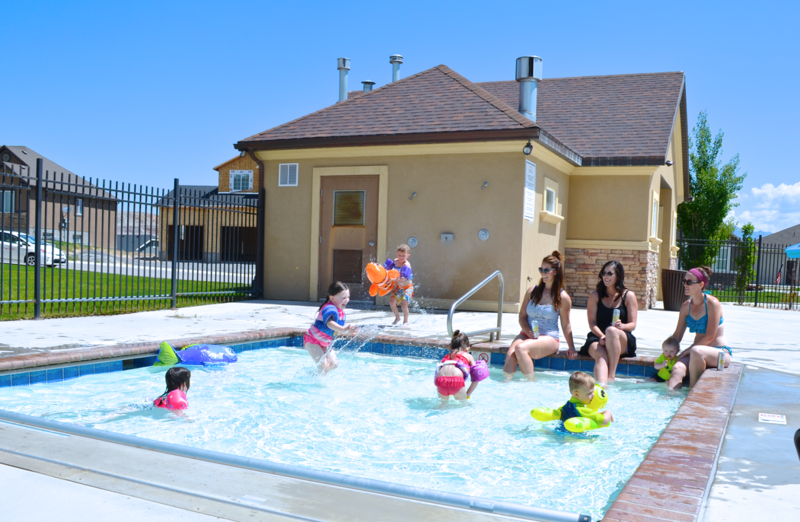 We had a blast letting the kids play in the water while us moms got to visit and talk about our interests. Things like why I need to join Ragnar (team relay running) and how we need to do this more often. Just remember, there aren’t any “rules” for pool playdates, the most important thing is to keep things easy. Being prepared (and bringing extras) obviously helps, so the kids are kept busy and you’re able to visit with your friends while keeping an eye on the kiddos. Another tip I use is keeping my pool bag stocked and ready to go in a quick minute so all I need to grab is a cold beverage and a couple towels. Don’t forget to print or download my list of pool and beach essentials HERE. I’d love to hear what essentials you put into your pool or beach bag! Comment below if there’s something new I should add to my list! Again, print my list out HERE. Great ideas!! I need to get some towel clios! Drives me crazy when they are all over the place! Just going to add get a pouch of some kind that water can’t get in for your special things like phone, wallet, I hate when I’m in a hurry and throw all the wet things in my bag and forget my phone or wallet was in there! The towel clips are the BEST!!!! Great idea about the the bag for wet items! Ziploc or Hefty slider bags work great for phones, wallets & keys at the pool or at the water park! Double bag from the opposite way to insure no water gets in! People at all the themes parks are doing it too bcuz of the water rides. Will fit inside the fanny pack or inside a zipper type cross body purse or bag, that’s light & easy to secure. You can even fit a lipstick or lip balm & maybe a mini sunscreen too! Also, a debit or credit card if you don’t wanna carry a lot of cash on you! OMG! That is so genius, thanks for sharing! What fun! This looks like the perfect way to spend a playdate, it really doesn’t get much better than a pool playdate with Dasani Sparkling!